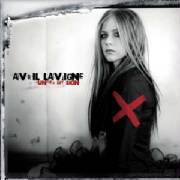 Avril Lavigne conquered the pop charts by refusing to get dirty. No skimpy clothes, no suggestive dancing, no tabloid adventures, no hip-hop collaborations, no provocative lyrics. She was both more defiant and more clean-cut than her peers: Her just-say-no message intrigued millions of kids while reassuring their parents. But Avril Lavigne might also be the most inscrutable teen-pop star of all time. For the past couple of years, her army of Avrilites has been staring at her, eagerly and hungrily, and she has stared right back, betraying nothing. Even now, after the years-long media blitz that followed the extravagant success of her debut, Let Go, Lavigne still seems somehow unsullied by it all: a nineteen-year-old blank slate. That blankness is what makes her best songs so irresistible. Whether it's a fit of faux punk or a maudlin ballad, she sings it all absolutely straight: You can hear whatever you want to hear. Her music is maddeningly (and admirably) difficult to categorize: The hit "I'm With You" had an almost imperceptible country twang, a vaguely new-metal melody and a chorus that wouldn't be out of place on American Idol, though none of the contestants would have had the good sense to sing it so plainly. 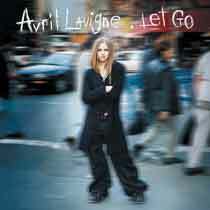 For her new album, Under My Skin, Lavigne split with Matrix, the team that wrote much of Let Go. Working with an unlikely crew of songwriters -- her guitarist Evan Taubenfeld and the Canadian singer-songwriter Chantal Kreviazuk -- she put together an album that's both more satisfying and more formulaic. 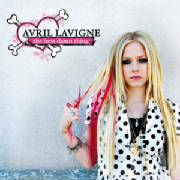 Lavigne doesn't incorporate any new ideas on Skin; instead, she shines up her old ones, often multitracking her voice to make sure you don't miss the mile-wide choruses. The lead single, "Don't Tell Me," might be her most Avril-ish song yet, a petulant kiss-off to a horny boy. As the guitars get revved up behind her, she asks, "Did I not tell you that I'm not like that girl/The one who gives it all away, yeah/Did you think that I was going to give it up to you?" The syntax may be tortured, but the singer sounds just fine: a righteous prude, confidently fending off the creeps. There's nothing here like "Nobody's Fool," the anomalous hip-hop experiment from Let Go. What hasn't changed is her meticulous delivery: She pronounces every syllable individually, avoiding the slurred consonants and distended vowels that singers often use to convince us that their lyrics mean something. All Lavigne delivers is the words and the tune, and it's often enough.